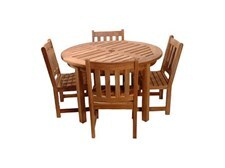 Great time and effort has been devoted to creating the best possible, most comfortable, long lasting Outdoor Teak Garden Furniture available on the market. 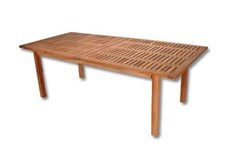 The Classic Series Teak Furniture line, designed primarily for outdoor use, includes chairs, benches, tables, and of course their respective sets, including the popular Banana Garden Furniture set. 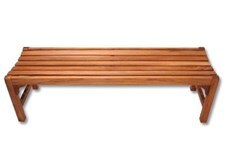 All of the outdoor garden and patio furnishings included in the Outdoor Teak Furniture line are made from the finest First European Quality solid heartwood Teak and are not finished with teak oil, a cheap way to disguise low-quality teak wood. All nuts, bolts, and fasteners are 100% stainless steel eliminating any need for future maintenance. 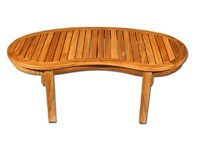 Look here for the gracefully designed Spirit Song Series of Teak Garden Furniture. The natural curves inherent to these items not only look beautiful, they also mimic the natural curves of the human form. While many wood furniture manufacturers rely almost solely on the look of their products, we make every effort possible to provide you with both functionally comfortable and aesthetically beautiful furnishings. All furniture is protected by the manufacturers limited lifetime warranty. 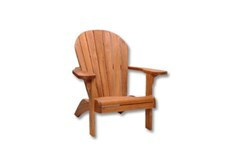 In addition, TeakPlanter.com offers a 60 day money back guarantee because we are sure you will love your new furniture. If you are not completely satisfied with your purchase within 60 days of the official purchase date you may obtain a Return Material Authorization (RMA) number from a TeakPlanter.com Customer Service representative.